Thinking about selling on eBay but don't know where to start ? "Finally Here It Is In Plain And Simple English. Do you have items around your house that you could sell but do not want to get up early on the weekend to do a boot fair or garage sale? Have you ever thought about turning the hobby or craft that you do into a little sideline business, but just do not know how to go about it? Is the credit crunch causing you to tighten your belt on your outgoings and think that if I could have just a little bit of extra cash things would be a little easier? Have you heard people talking about the extra cash they have earned after selling some of their unwanted items on eBay, but are unsure about how to go about selling things for yourself? If you have thought about selling on eBay or setting up an eBay business but just do not know where to start? Then let me tell you "You Are Not Alone"! There are countless individuals that are in exactly the same position as you. Please do not despair there is a solution to this situation. What is important to understand here is that all this can change and that you too could become yet another one of eBay's success stories. A step by step illustrated guide created especially for you. Broken down in easy to follow instructions, this guide will help you finally understand the eBay process and have you trading successfully on eBay in no time at all. In no time at all you will be guided through the process of setting up an eBay account. A daunting task that does hold many people back. After buying a few items on occasion many people just like you think about selling - only to stumble a the first hurdle of registering a seller account and understanding the process. Having an illustrated path to follow will give you the 'confidence' to know exactly what you are supposed to be doing, and you'll also 'know' your way around the eBay system. After reading "Online Auctions Explained"
You could have your eBay account set up and ready to go. You will be more confident about the eBay process. You will save time because you will 'know' your way around the eBay system. You will be buying and selling on eBay in no time at all. You will learn about sourcing products and ideas. You will learn about the different types of products sold on eBay. Who knows once you have mastered it all you could be the one teaching others how to go about setting up their eBay business. Wouldn't that be great! Imagine the thrill of trading on eBay - I still get excited whether I am buying or selling. As the auction draws to an end imagine nervously watching to see if you won the item you were bidding on or perhaps to see how much your item sold for as the last bids come in. Think about the extra money you could earn to help out with the bills. If you want to go that bit further turn it into a full time business that you can run from home. Just like many others who have successfully done so before you. eBay offers many great opportunities but you need to know how and that's exactly what "Online Auctions Explained" can help you to do. Congratulations Robert on creating a fantastic eBay resource. Online Auctions Explained lays out the foundations to creating a successful eBay business and I love how you have detailed each key step that needs to be followed throughout the whole selling process. You leave no question unanswered, that is more than I can say for some guides. This guide is absolutely perfect for anyone who wants to get started and set up their own eBay business and work from the comfort of their own home and I can highly recommend this product to anyone who is just starting out and needs a helping hand. I found this to be the “Beginners Bible” for eBay a well written and very informative book a MUST for all new buyers & sellers. Well are you ready to get instant access today and take the next step to getting your eBay ventures underway? 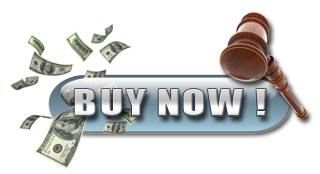 I expect by now you realise what a valuable source of information "Online Auctions Explained" could be to you in helping you get started with trading on eBay. You are probably wondering what is all this valuable information going to cost me? Well I could easily charge $67 and it would certainly be worth it. I have put hours and hours of research into this book to make it as easy as possible for you to understand and follow. Also throughout the book I have placed screenshots that relate to the various aspects that you are being taught. You can actually see what it is that is being explained. So that when you are going through the process you know that you are in the right place. I then thought about selling it for $47 because this book can literally save you hours. Showing you the correct way to go about getting set up. There are other products around charging similar prices. I then thought again and as you are probably wanting to make an extra income on eBay to help your finances and to pay those bills etc. I have decided to help you out by letting it go out at a very special offer price of $27. So for as little as $27 you could be well on your way to eBay success. I am not sure how long I will be able to keep it at this price. I plan to keep updating it as eBay changes. As time goes on I will be adding in some slightly more advanced techniques. When you buy now you will be entitled to free updates as and when I release them but be warned the price could increase at any time. 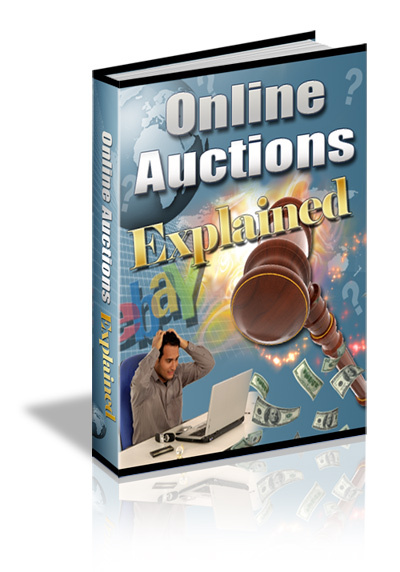 Online Auctions Explained is a very well written step by step guide that takes you from start to finish in getting started with an online business on eBay. I highly recommend getting your copy NOW! Yes Rob, I am ready to start learning how to successfully buy and sell on eBay with "Online Auctions Explained"
I understand that I have nothing to lose with your 56 day money back guarantee. If I am not 100% satisfied all I need to do is let you know within 56 days and I will receive a refund in full no questions asked. Just think about it this way by taking action you could become another eBay success story. P.S. Grab YOUR step by step illustrated guide. Broken down in easy to follow instructions, and within hours you'll finally understand the eBay process and you will be trading successfully on eBay in no time at all. P.P.S. There is NO Risk whatsoever for you while you start your journey to eBay success with my 56 day 100% Money Back Guarantee! Discover 7 Ways To Enhance Your eBay Experience. Simply Enter Your Details Below And Over The Next 7 Days You Will Discover 7 Different Ways To Enhance Your eBay Experience.